Lenovo has discounted one of its 27-inch, 2560x1440 monitors by $100. 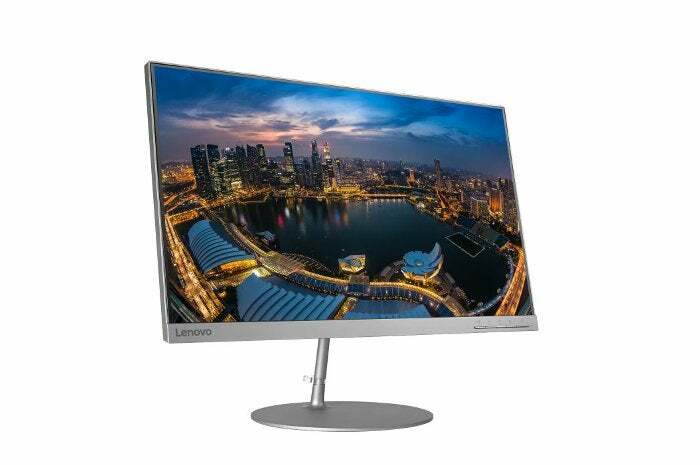 Lenovo has a great last-minute deal today for a 27-inch 2560x1440 monitor: You can pick up the Lenovo L27q for $200. To get the $100 discount, use the coupon code MONITORSALE (via TechBargains) at checkout. The coupon code is case sensitive. Besides the QHD resolution, Lenovo outfitted this IPS panel with a "Near-Edgeless Infinity" screen. This means that the borders of the screen are as thin as possible, allowing users to place multiple monitors side-by-side with less of a gap between the image on each display. The monitor does have DisplayPort, but it doesn't offer a variable refresh rate feature like FreeSync for games. There's also an HDMI 1.4 port. This monitor is "TUV Eye Comfort Certification-compliant," which is supposed to help "relieve eye discomfort with a flicker-free screen and minimal unwanted reflection." Lenovo says the display's color gamut is 99 percent sRGB, and there's also a pretty nice tilt option that goes from -5 to 22 degrees.